1. 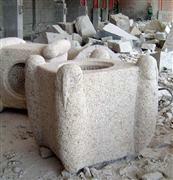 Material : Granite, marble and any other natural stone. 3. Colors : White, black, yellow, etc. Delivery Time: Depend on the amount. About 20 to 30 days. 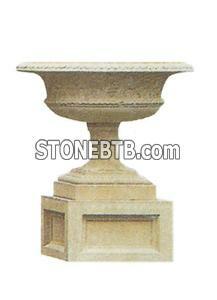 Product line:granite flower pot, garden flower pot, stone flower pot, garden flower planter, stone flower planter, marble flower pot, granite flower pot, granite planter, flowerpot crafts, marble vase, granite vase, stone vase, marble planter, garden planter pot, These stone flower pot, granite flower pot, marble flower pot have gained immense popularity worldwide as major export items.We prefer to hand carve our entire product with the best quality of solid marble travertine limestone and sandstone. Welcome your any inquiry and we will offer the attractive price for you , also we are looking forward to a fruitfully mutual beneficial cooperation with you. By carving by us directly, we offer a competitive price with the look and feel you get with only true various natural stone.If interesting in our vase, please contact us with your designs or photos for a free quote. Any need, please email to us.